These workbooks are filled with book lessons, historic and contemporary lessons, legends, and fun activities. The Speckled Fish People and Gardner Sibling Trilogy book lessons are for grades 5-12. All other lessons and activities are for all appropriate ages. 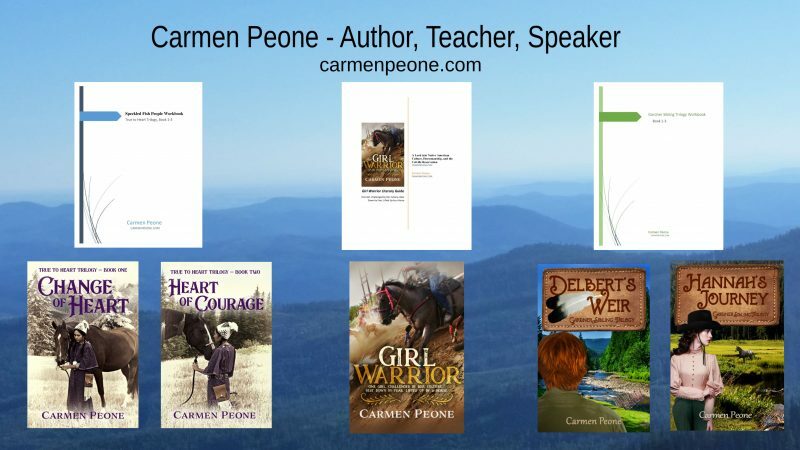 The Girl Warrior Literary Guide lessons are intended for high school aged students and the other lessons and activities are for all appropriate ages. 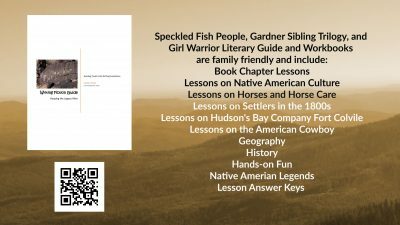 Workbooks and literary guide include book lessons and lesson answer keys, historical and contemporary lessons and lesson answer keys, word searches, color pages, Native American legends, and hands-on activities. Writing Fiction for Youth Workbook includes lessons on ideas, webbing, journaling, characterization, the five elements of fiction and more. Writing Fiction for Youth Book Cover and young adult lesson topics.